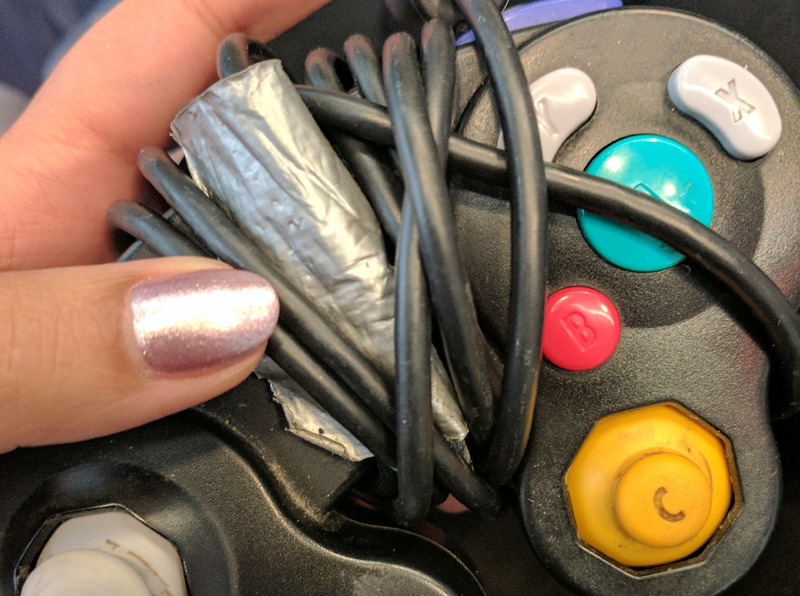 This deeply unintimidating GameCube controller is precious to me (and one of the last functional ones I own). It brings me luck and joy and brilliant Super Smash Bros. air dodges. And it has damned many challengers in its long and hard life. No, I’m not proud of how it looks—the duct-taped cord, the gunk-covered C stick. But miraculously, it works great. So I will continue to use it and love it for as long as it lets me. Show us a your lucky controller in the comments.